Two intrepid Teesside businesswomen hit the heights when combining to raise more than £12,000 for charity when climbing Africa’s highest mountain, Kilimanjaro. 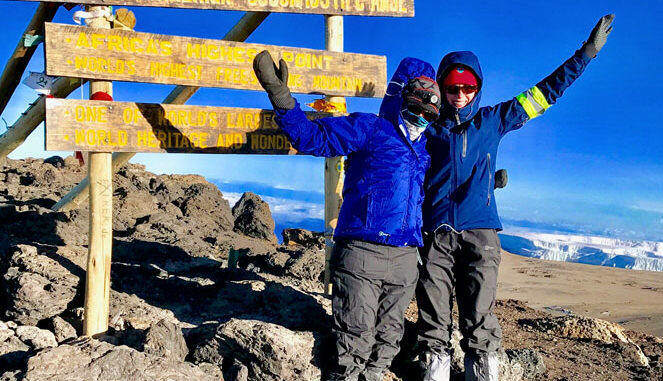 Harriet Spalding and Charlotte Jones overcame gale force winds, altitude sickness, exhaustion and temperatures plummeting to minus 20 to reach Kilimanjaro’s 5,895m summit at the end of a six-day trek through rain forests and mountainous terrain. Setting off at midnight in darkness, they completed their final push to the Tanzanian mountain’s peak with an eight-hour walk and climb that Harriet admitted left them “physically and mentally drained”. 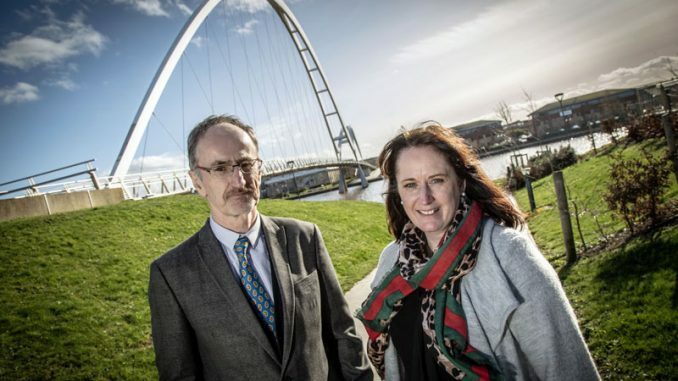 Harriet, who raised nearly £5,600 in sponsorship for local causes supported by Teesside Philanthropic Foundation, admitted: “I don’t think I’d have made it to the top if not for the charity. It was awful at times but I just kept telling myself that I couldn’t let down all those people who’d sponsored me. “I have to admit I did cry at one point. I couldn’t catch my breath, I felt ill from altitude sickness and I couldn’t feel my fingers or toes because of the extreme cold. “When we reached the top I didn’t even feel elated, I just felt physically drained. The sense of achievement didn’t hit me until I got back down. Looking back, I can’t believe I actually did it. Harriet, 29, whose employer, Stockton-based Mandale Group, funded all her kit for the fundraiser, was convinced the expedition’s leaders would call off the trek to the summit as too dangerous because when temperatures dipped to minus 20 with 60mph winds. She spent long weekends training for the expedition with 25-year-old Armstrong Richardson employee Charlotte, from Carlton, on the North York Moors and on walks around Roseberry Topping, Captain Cook’s Monument, Carlton Bank, Clay Bank and parts of the Cleveland Way. Charlotte raised more than £6,500 for the Aplastic Anaemia Trust in memory of her grandfather who died of the blood disease.